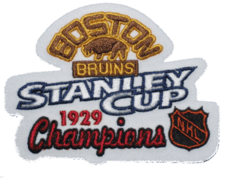 The 1929 Stanley Cup Finals NHL championship series was played by the defending champion New York Rangers and the Boston Bruins. This was the first time in Stanley Cup history that two American-based teams met in the Final. Boston won the series to win its first championship.